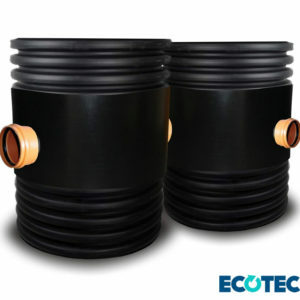 Accesso chambers are designed specifically for use in non-man entry access and inspection applications for use with twinwall and en1401 pipe systems. 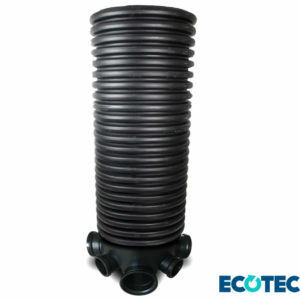 The range is manufactured using high strength polyethylene and all chambers are relatively lightweight and can be installed in minimum granular surround, saving significantly on fully installed costs against other traditional access systems. 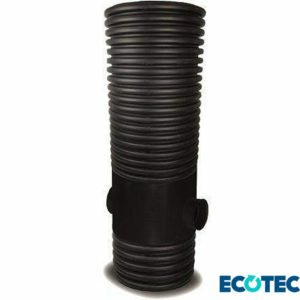 Inspection chambers and catchpits/silt traps are available in both 450mm and 600mm diameters and up to inverts of 3 metre depths for adoptable applications and 6 metre depths for non-adoptable applications, (as stipulated in Sewers for Adoption SF7 2013 Section B2.2- Access).